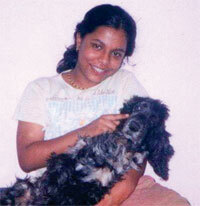 There are a few pooches who would be remembered for time immemorial! Nipper is one of the most popular dogs recognised by millions of music lovers. 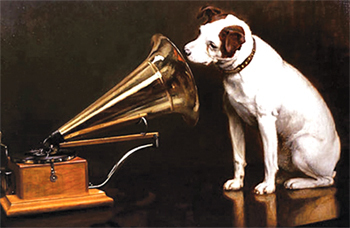 For those who have forgotten Nipper should pick up the record label for HMV (His Master’s Voice), which features a picture of Nipper listening to his master’s gramophone. Whew! Did it stir a few happy memories? I think yes. A flashback into the history digs out that Nipper was a mutt from Bristol, England. Part Bull Terrier and part Fox Terrier, he was born in 1884. One of his human friends painted a picture of him listening to the gramophone, which eventually became the trademark of the Gramophone Company, London. Well, HMV is one of the most well-known and respected music and video retail brands around the globe and the dog and trumpet symbol, in particular, is instantly recognisable. http://www.dogsandpupsmagazine.com/wp-content/uploads/2010/03/did_youknow1.jpg 134 250 Dogs and pups Magazine http://www.dogsandpupsmagazine.com/wp-content/uploads/2017/05/1254nal.jpg Dogs and pups Magazine2010-03-20 00:00:002013-10-03 17:49:15The unforgettables! Why did you go, Nancy? spend time with each other in the evening, during which, she used to chase goats and look for words of appreciation from me. Those were the golden moments gradually, Nancy became possessive; she would not let any other dog come near me. She trusted me blindly. When it was time for me to leave the village, I just couldn’t leave her alone and brought her to Baroda and got her neutered and vaccinated. I was happy of our life together. But fate had something else in store for her. 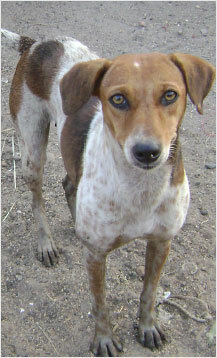 Prior to the sterilization and vaccination, she must have been in the incubation stage of canine distemper. Thus, a 7 in 1 vaccine was completely ineffective on her. After the diagnosis, she was put under medication, but her condition worsened. I could feel her pain. The doctor advised that she should be put to rest as her condition was worsening day by day. Finally the day came, which no animal lover wishes to see. Nancy sat on my lap, keeping her head on my chest, with the same trust in her eyes. Her soul left her body. Nancy was no more. 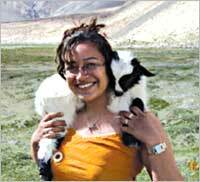 The glimpses of Nancy sleeping on the truck tyre, chasing goats to impress me, trusting and following me blindly, being possessive for me and moments when death came to her, are memories which I can never forget. http://www.dogsandpupsmagazine.com/wp-content/uploads/2009/11/nancy1.jpg 134 250 Dogs and pups Magazine http://www.dogsandpupsmagazine.com/wp-content/uploads/2017/05/1254nal.jpg Dogs and pups Magazine2009-11-20 00:00:002013-10-03 17:52:29Why did you go, Nancy? Our doggie friend Renee was so sweet and ever smiling but we weren’t destined to be with her any more. Hit by a fast moving vehicle, she met her end on the same road where we first met and fell in love with her. Me and my friends, who have been guardian angels of Renee, miss her a lot and here is a poem and messages from my friends for the departed soul. But all these were from your puppy days due. From children to watchman thought you are a sweetheart. Can’t measure all the simple joys we all got. Oh! Why did God make your life so brief? To leave us all with tears and so much grief! I request you all to please be careful while driving as your rash driving can take away precious life of a beautiful and sweet animal. I will treasure for life. I’m going to miss your jumping on me. Renee we are going to miss your smile. Want to see you at the bus stop again. She used to make my day special. I will remember her forever. Renee was the ever smiling stray dog that all of us fell in love with. She would rush eagerly to meet us every morning on our way to the bus stop. We will certainly miss our enthusiastic doggie darling. “I had the honour and privilege of knowing Padman for over 12 years and over time came to consider Padman as an elder brother. 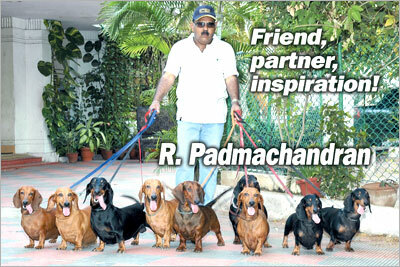 Padman spent a fortune importing Dachshunds from across the globe, to improve the gene pool and breed in India. The secret of Padman’s success in Dachs was his consistent thirst and desire to continually learn. 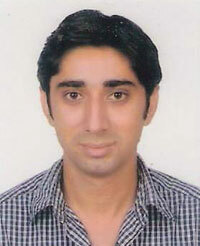 “Padman was the one I always turned to for all fi nal and major decisions in my life. We all have heard of the poem ‘Footprints in the Sand’ where we question God asking him that during the most difficult moments in our lives why was there only one set of footprints in the sand instead of two (HIS and ours)? God’s answer was that in our most challenging times he was carrying us in his arms and that was HIS footprints we could see in the sand. In my most difficult moments, it was Padman’s footprints and not that of God. “There is no way to describe in one word, a person like Padman, he was a dynamic human being, extremely supportive when it came to friendship or just a helping hand. I never knew him to turn anyone away.There will be a hole in KCI, now that he is no more…..Padman was an avid dog lover and a KCI member whose approachability stood out. http://www.dogsandpupsmagazine.com/wp-content/uploads/2009/01/remem1.jpg 134 250 Dogs and pups Magazine http://www.dogsandpupsmagazine.com/wp-content/uploads/2017/05/1254nal.jpg Dogs and pups Magazine2009-01-20 00:00:002013-10-03 18:01:24Friend, partner, inspiration!